You wake up and find yourself 7,000 miles from Redlands. You have crossed the International Date Line and lost an entire day. You have jet lag and the struggle is real. Welcome to your first morning of a May Term class called Palau Expedition—one of many unique adventures open to University of Redlands students. U of R’s May Term, one month of intensive study that caps the academic year, provides students with opportunities that supplement those available during the traditional fall and spring semesters. During May Term, some students stay on campus to conduct research, create art, or serve the community. Others choose to travel to places such as Cuba, the University’s campus in Salzburg, Austria—or Palau. 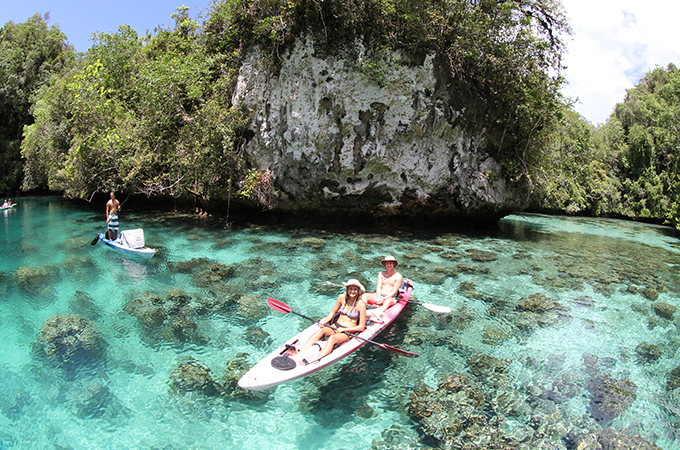 In Palau, an isolated East Asian archipelago of limestone islands about 500 miles from the nearest major land mass, the classrooms are Jellyfish Lake and Dolphin Bay. 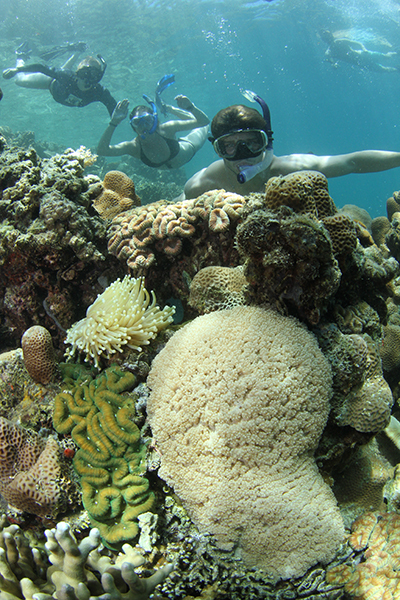 Assignments from Environmental Studies Professor Monty Hempel and Marine Biology Professor Lei Lani Stelle include a jungle cruise to observe crocodiles, kayaking to uninhabited islands (only eight of Palau’s 340 islands are inhabited), and exploration of underwater caves. Field trips take students to World War II battlefields and archaeological ruins. Study spans Palau’s marine ecology, natural history, and clan-based system of social organization, including interviews with traditional chiefs and government officials of the young nation, established in 1994. Students also snorkel with stingless jellyfish and SCUBA if certified. They dine with Palauans. And watch the sun set. Learn more about the U of R’s May Term and Study Abroad programs, and enjoy this slideshow from a previous year’s trip to Palau.